(UPI) — German prosecutor denied a request for clemency for Oskar Groening, a 96-year-old former Nazi guard who was known as the “bookkeeper” at one of the most notorious concentration camps of World War II. Groening’s appeal was denied at a court in Lueneberg, just one day after the request was submitted. “The clemency request has been denied,” Wiebke Bethke, a spokeswoman for the prosecutors’ office in Lueneberg, said. Groening can push ahead with his appeal to the to the Hannover Ministry of Justice, but he is expected to go to prison by the end of the month. If further appeals are denied, Groening will be required to serve his entire four-year prison sentence. 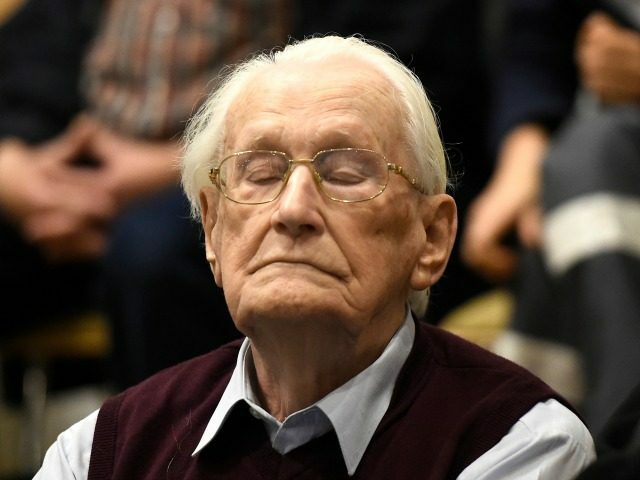 Groening was convicted and sentenced in 2015 as an accessory to the murders of 300,000 people kept at the Auschwitz death camp during the war. He was known as the “bookkeeper of Auschwitz” — where he admitted to being tasked with gathering money and valuables from the baggage of Jews housed there, and giving what he found to his superiors for transfer to Berlin. In 2015, he said he wouldn’t ask for forgiveness from survivors and victim’s families, but only from God. Last month, the Constitutional Court rejected Groening’s appeal that he was too unhealthy and old to serve out his sentence. An estimated 6 million people, mostly Jews, died in Nazi concentration camps during World War II — with about 1.1 million believed to have died at the Auschwitz camp.